Mini bikes…they are also called pocket bikes, mini motos, and an array of other nicknames, but they are one and the same. 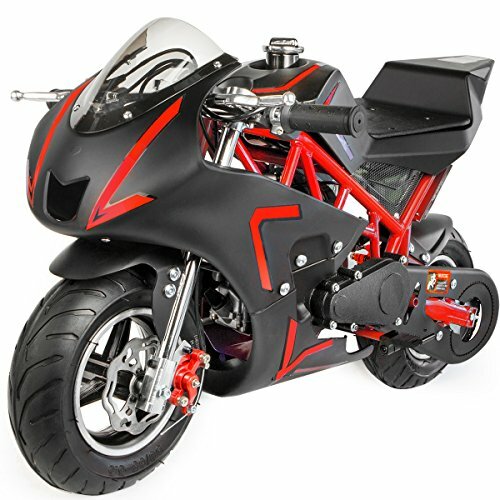 Designed as miniature motorcycles, they are just shrunken versions of traditional working motor bikes, with a more motocross, dirt bike feel than classic cruiser or chopper. There are some ideal for adults and some well-suited to kids. In this list of the best mini bikes, we’ll look at a healthy serving of both types, letting you know when one is good for a child or better for an adult, and lots of important details about each individual bike. 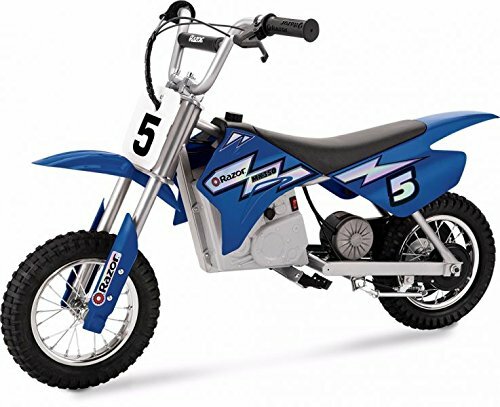 First, though, let’s take just a few minutes to consider why a mini bike might be the best choice for your or your household. 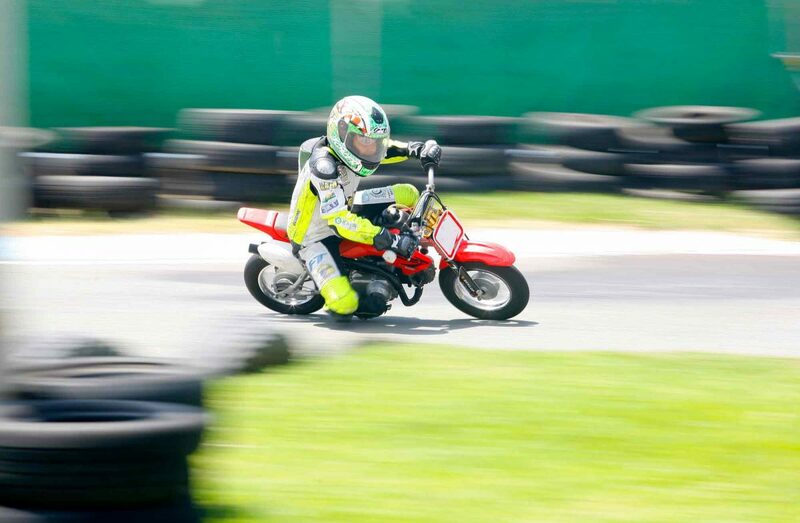 First and foremost, you should always try to remember that a mini bike is small, but its power can be big. Consider the horsepower before investing, and whether it is for a novice biker or a younger person, it might be wise to go with lower horsepower until you’ve mastered riding a bike. Keep in mind that bikes are often tagged with weight and age specifications. For example, some cannot support passengers over a certain body weight, making them better as kids’ bikes. 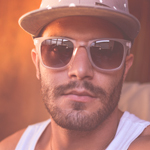 Some actually have an age limit and this can make it much easier to choose the right ride. Also, remember that a mini bike can be a great way to learn how to ride the bigger bikes. Though they are not allowed on the roads (no mini bikes are street legal), they are great for empty parking lots, parks designated for their use, and off-road experiences. Then, when you are confident on the smaller bike, you can safely advance to a larger, street-legal bike! As you can see, those are the only real pros or cons of using gas or electric, and what is best for you really depends on your preferences. And there is also the matter of style, with most mini bikes taking a dirt, pit, motocross or even street style over other looks. And with all of that in mind, let’s dive into the nine best mini bikes for 2019. Easily ranking as one of the most preferred and highly rated, this mini bike is described using words like old school and classic. It runs on a 4-stroke OHV single-cylinder 98cc gas engine. Offering 3-horsepower, it can hit speeds as high as 25MPH, and offers the ability to run for about three hours on a full tank of gas. With its sturdy frame and excellent, ergonomic design, it uses low pressure tires, handle-operated disc brakes and a dual suspension for the smoothest and softest ride imaginable. Reliable and consistent stopping is assured with this bike, and its rugged clutch also allows optimal control. Some say it is heavy at 85 pounds, but it is weighted and aged for kids 13 and up, and has a weight cap of 150 pounds, though it is described as suitable for some adults. The latest release from Monster Moto is this “Merica” model that features a bold and patriotic red, white and blue design and color scheme. Designed for teens and youth riders, it is chain operated and features an 80cc, heavy-duty overhead valve engine and automatic clutch, all powered through the use of the motorcycle-styled throttle. Topping out at 23 MPH, it uses 14” super grip tires and rear disc brakes set on the reinforced and rugged frame. 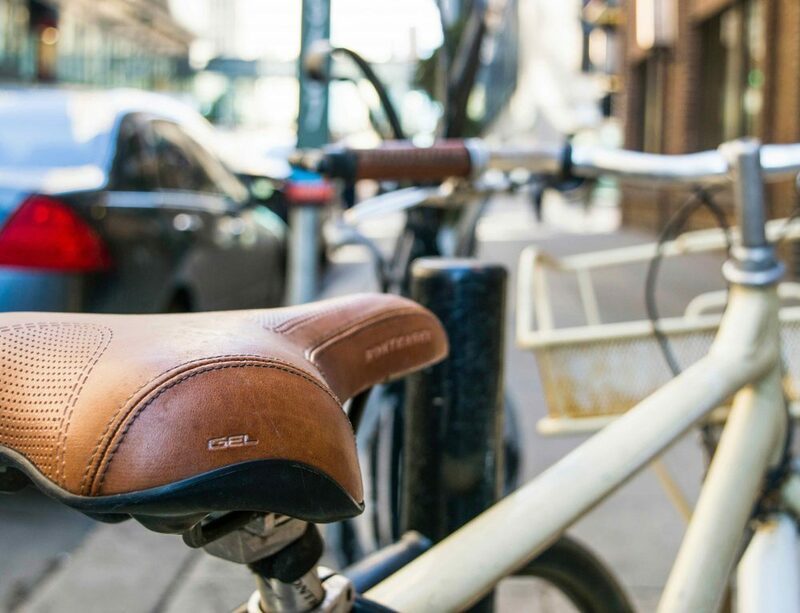 With a newer, and larger seat designed for optimal comfort, it is a bike designed specifically for heavier duty outdoor use. It offers spring loaded foot pets, no dent fenders and a chain guard along with heat shield and simple engine kill switch to ensure loads of safe fun. Rated for up to 160 pounds, it is an ideal teen or even children’s ride. This mini bike is able to run for up to an hour on a full tank, but overall mileage depends on the weight of the rider and the terrain. 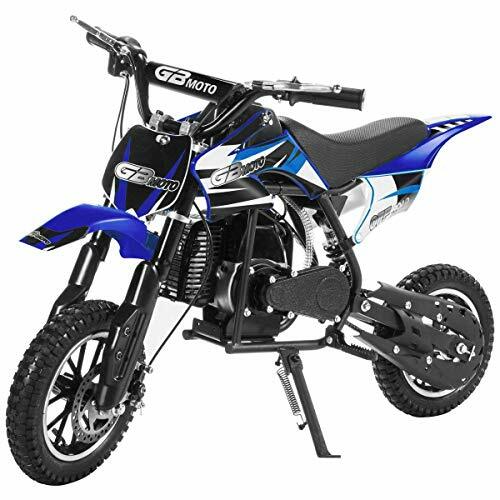 Noted as one of the durably constructed, easy to setup and use, safest and stylish mini bikes for kids and pre-teens, this mini bike is a goo choice for a child who enjoys more rugged terrain and challenging rides. As the name explains, this is a battery powered bike that offers a much quieter ride than other options. It runs on a chain-driven motor that provides 350 watts of high torque power. It maxes out at 12 to 14 MPH and is able to cover up to ten miles on a full charge (usually around 30 minutes of non-stop riding). It features 12” knobby pneumatic tires and a dual suspension for a super comfortable ride, even over bumpier conditions. A hand operated rear brake an, easy pull-start operation makes it easy to ride. And though it has adjustable riser bars, this is not a bike for larger riders or even larger teens. A weight limit of around 150 pounds makes this a definite “kids’ bike” and would be well-suited to those six and up (Note: It does not include training wheels). At one of the fairest prices in the market, this is a perfect choice for an experienced rider ready to move up to a motocross-like ride. 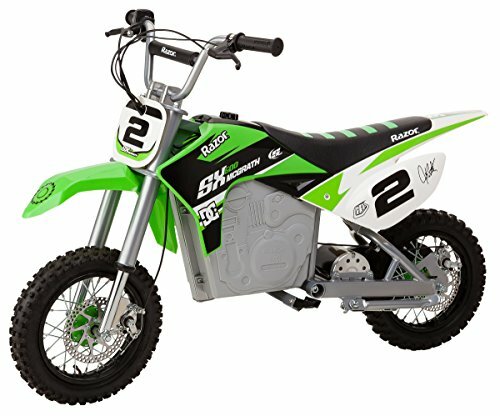 Consistently ranking at the top of the lists for the best 2-stroke gas powered mini bikes is this 49cc model from GBMoto. Described as capable of handling almost any riding scenario, it is a durably made bike with all of the good looks of a classic motocross or off-road bike. With front and rear disk brakes, this one has a lot of control, and a rear suspension meant to soften even the toughest riding conditions and ensuring control. Rated for riders aged 13 and over, it has a maximum weight cap of 175 pounds, putting it at the larger end of the spectrum and able to offer a fun ride for adults in the right weight range. 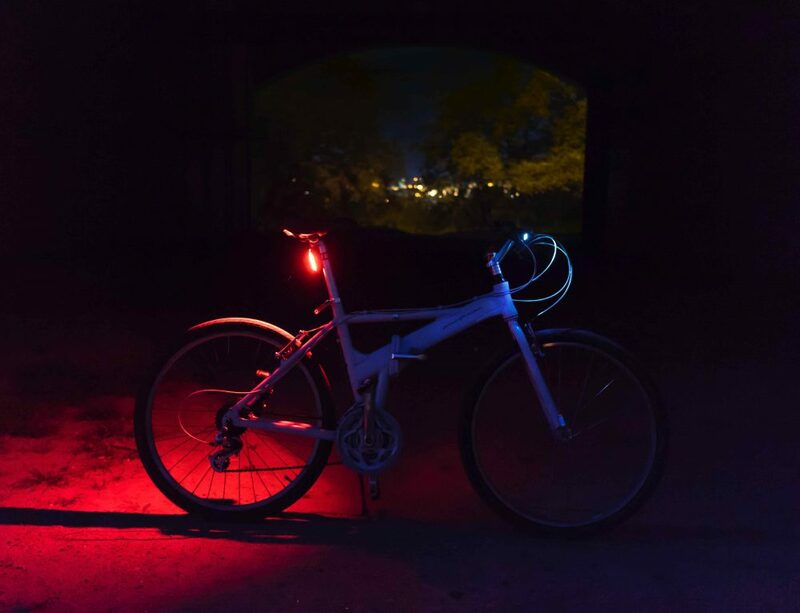 With a lot of color options, a fair price and high quality (EPA certified) parts and materials, this is a great first ride for a pre-teen or teen eager to get out and explore the trails. 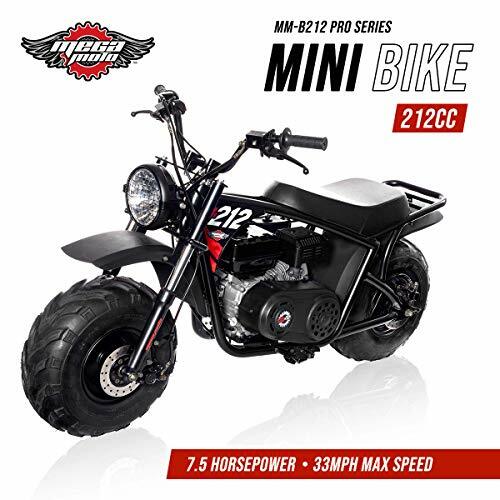 One of the most popular of the mini bikes available, it is described as the perfect option for teens and some adults (with a recommended age range at 16 and older) since its weight cap is a surprising 220 pounds. It features a pretty powerful 650 watt electric motor (variable speed chain drive) that can hit speeds as high as 17 MPH. And though battery life is noted as unpredictable as it is based on both rider weight and terrain, it is described as a performance model. With a motocross model frame, it can master the off-road terrain, and relies on hand operated dual disc brakes and throttle controls to give a rider an even more authentic, dirt bike feel to each ride. It is one of the more powerful and comfortable of mini bikes. It features adjustable riser handlebars and a dual suspension made even more comfortable through the larger 16-inch knobby tires. Powerful and well-built, with great dirt bike style, this one offers a smooth ride, consistent performance and would be a great upgrade for the pre-teen ready to tackle a heavier bike and more challenging terrain. Described consistently as a wonderful choice for kids, this super flashy mini bike has road-bike good looks and sleek design, and as it weighs only 52 pounds, is great for smaller riders, and has a weight cap of around 165 pounds. This is not a high performance ride, though its 40cc, 4-stroke engine does deliver a nice hit of power and speed. It can run at roughly 18 MPH and has just over 26 miles in total range. 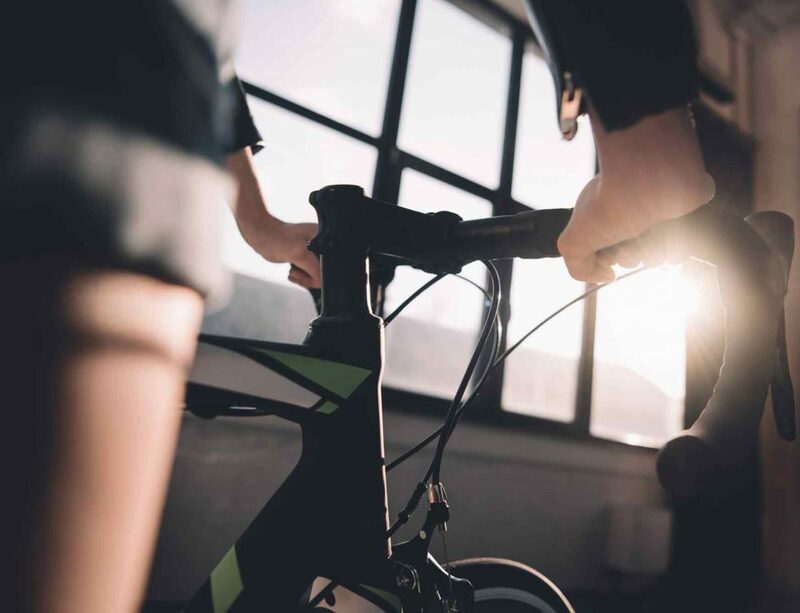 For riders 12 and up, it is designed to allow kids to learn how to ride actual bikes from an early age and is perfect when you want to help a them master balance and coordination while rolling along on a bike. It provides total control through its front and rear disc brakes and 11” pneumatic tires. With a steel frame and impressive design (along with a lot of options in terms of colors and style), it is a perfect ride for the “someday” road rider. Named for one of the most famous dirt bike riders in the industry, this is a mini bike designed to give an authentic motocross look and ride. With a variable speed electric motor, it can hit a stride of 15 MPH and ride wide open for around 40 minutes at a time. It runs on a 36v sealed rechargeable battery system that counts on three batteries to deliver consistent power. The design and features offer lots of comfort and control thanks to its dual suspension, larger 16” front tire and smaller 14” rear tire (both pneumatic knobby tires), hand operated dual disc brakes, and adjustable handlebars. 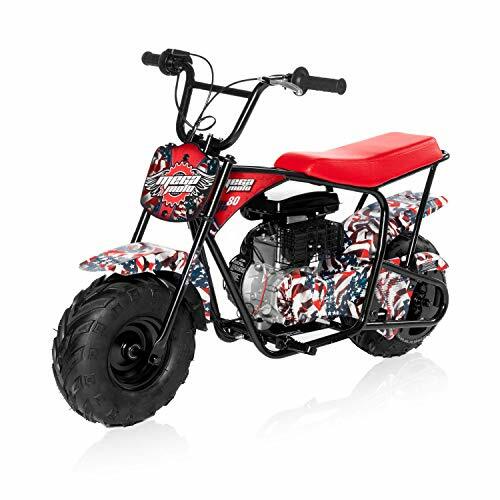 Covered in authentic graphics and colors, this mini bike relies on classic dirt bike design and style along with a high torque engine to introduce younger riders to the delights of motocross. Designed for riders ages 14 and up, and with a weight cap of 175 pounds, it is a perfect bike for teens. 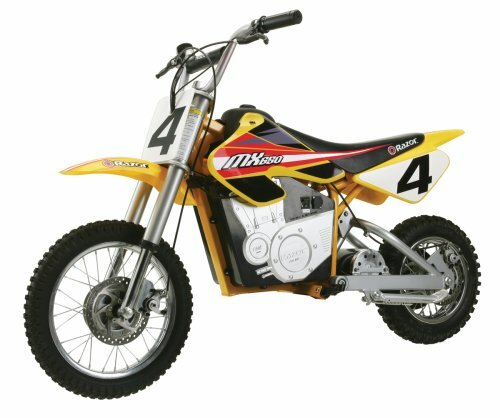 If you have a rider eager to hit the motocross scene, this mini bike is a great choice for introducing them to the fun and excitement of the sport, while also giving them plenty of control and just enough power to get a taste of what it is really like. Described by fans and enthusiasts as a not so mini bike, this one is a far more powerful and beefier option that is ideal for adult riders and experienced teens alike. It packs a 212cc overhead valve engine and relies on an automatic clutch for ease and safety when riding. With top speeds of 35 MPH, this is easily one of the fastest rides available, but mileage varies based on speed and rider weight, so it is not possible to give a fixed figure, though a .95 gallon tank should give you a good 45 minutes to an hour before a refuel is needed. It sits on a durably made welded tube steel frame and comes with no dent fenders for the ultimate in outdoor enjoyment. It is meant to be easily handled and features spring loaded foot pegs, standard motorcycle throttle, and a comfortably oversized seat. 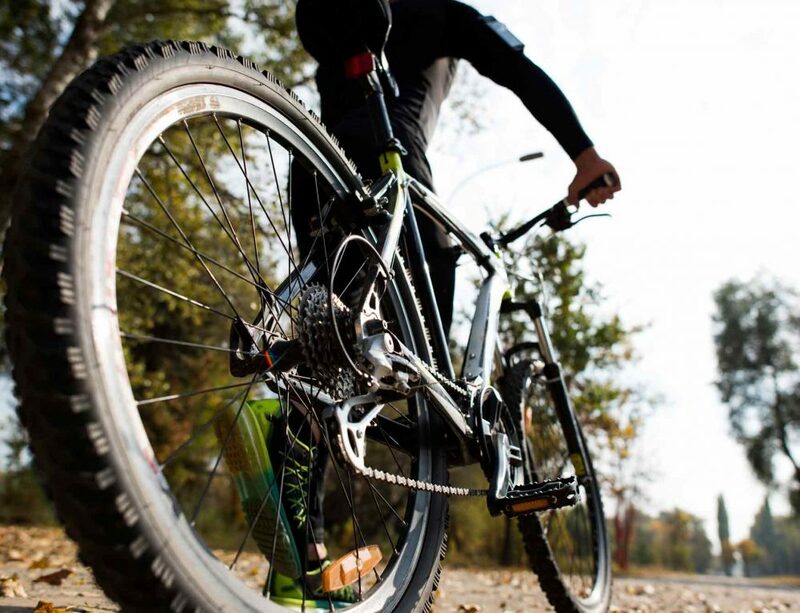 The super grip tires are pneumatic and oversized for a comfortable and controllable ride. Remain safe at all times thanks to the exhaust heat shield, engine kill switch and chain guard, as well as the front and rear hydraulic disc brakes that enable you to stop on a dime. If you are an adult eager to enjoy a bit of fun on a larger and sturdier mini bike, this is the ideal choice for you. It has out of the box readiness, too, meaning a fast setup and you are out on the trails! 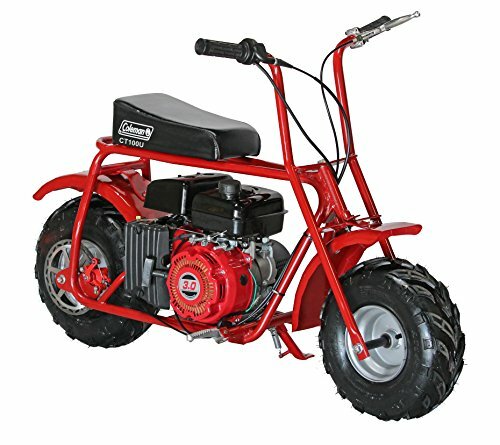 For the teen eager to get a bit more power out of their mini bike rides, this may be a good choice. The 49cc, 2-stroke gas engine ensures that you can race through the terrain, and the rear suspension means your fast-paced adventures are also comfortable and controlled. Front and rear disc brakes make this doubly certain. Sized for riders 13 and up, and weighing in at 128 pounds or less, it can hit speeds of 35 MPH and provides around 20 miles of riding at that pace. 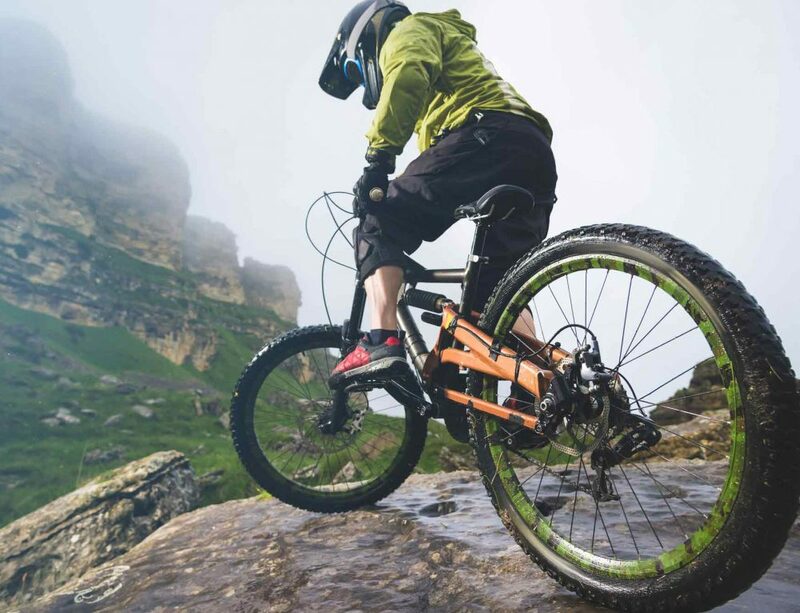 With its sturdy frame and design, it can handle most terrain, though it is clearly designed for the dirt and motocross riders or riders-to-be. Loaded with safety features, it is a sensible choice. Weighing in at around 45 pounds out of the box, this lightweight but rugged and powerful mini bike is a fairly priced option for the first-time rider or the teen eager to kick up the speed, handling and performance. Now that you know a bit about the basics of mini bikes and have nine great options to consider, you should be able to choose a model just right for you or your rider. Remember to check age and weight rangers, understand whether you want gas or battery, and consider the terrain and style of riding to be done, and you’ll find a great choice among the options here.